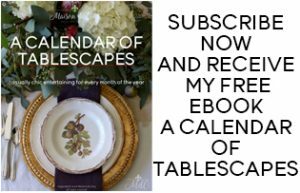 Friday Favorites - Freestanding Tubs and Why I'm in Love with Them! Freestanding tubs. 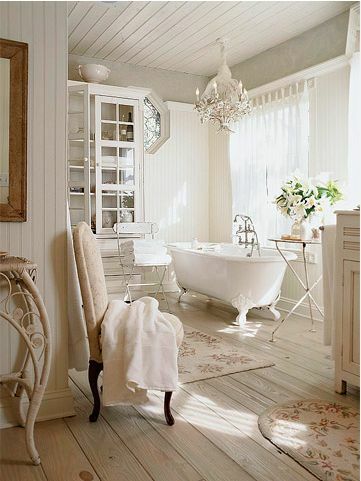 Is there a more romantic look for a bathroom?! I’m not sure why they disappeared, but for decades it has been the trend to build a bathtub/shower combo, or in the case of my master, no tub at all (horrible!) Whatever the reason, the stand alone tub is back and I for one am thrilled to see it return! They are a classic, with timeless appeal, yet they are also right on-trend for today’s design. Hopefully at some point we will be re-doing our master bathroom and nothing would bring me greater joy than being able to add a freestanding tub. 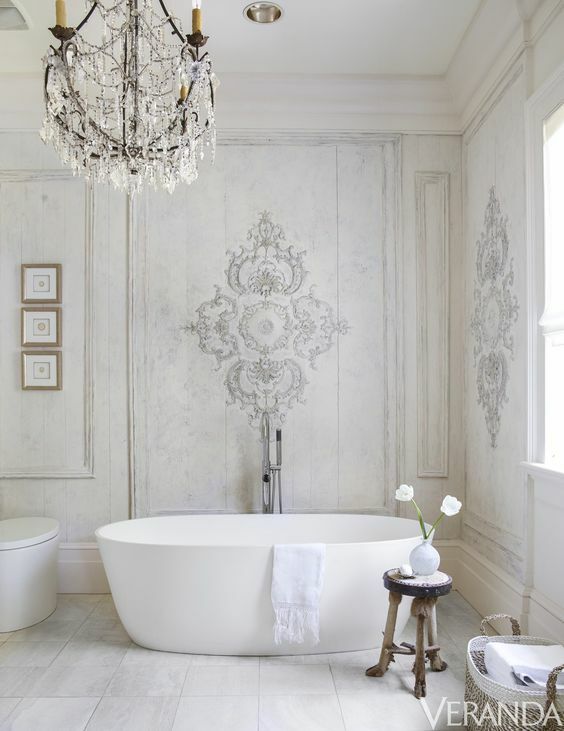 In the meantime, I’m just going to soak in the inspiration…..
One of the prettiest bathrooms I’ve ever seen! Love that large leaning mirror and the cute brass table. Design by Suzanne Kasler. 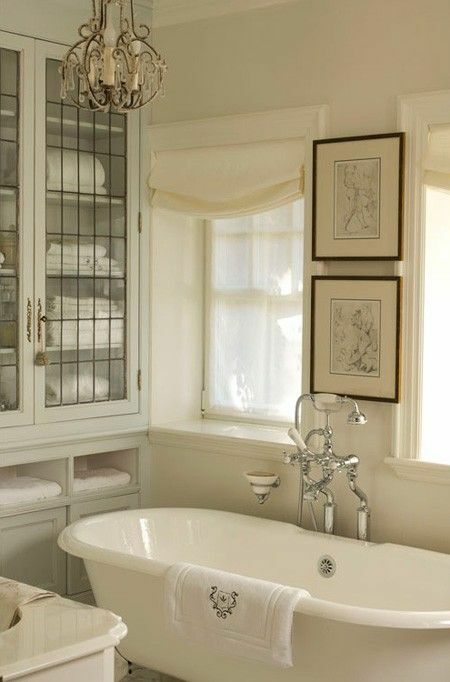 A tub under a big window is a classic choice. Chenault James Interiors. Just a peek of a gorgeous (and huge!) bathroom. Design by Minnie Peters. 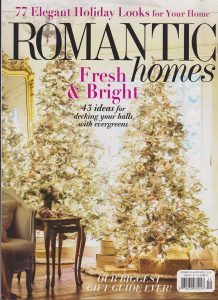 One of my all-time favorites, and this is from House Beautiful years ago! Clearly, these people know a classic when they see it. 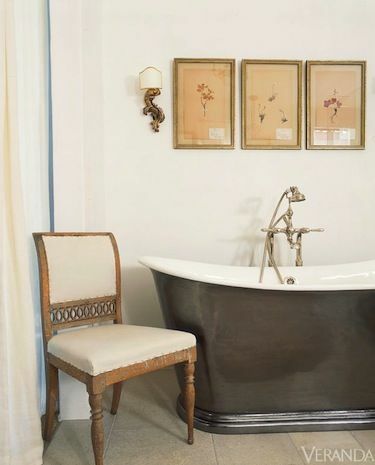 Designer Julie Charbonneau’s home via Better Homes & Gardens. 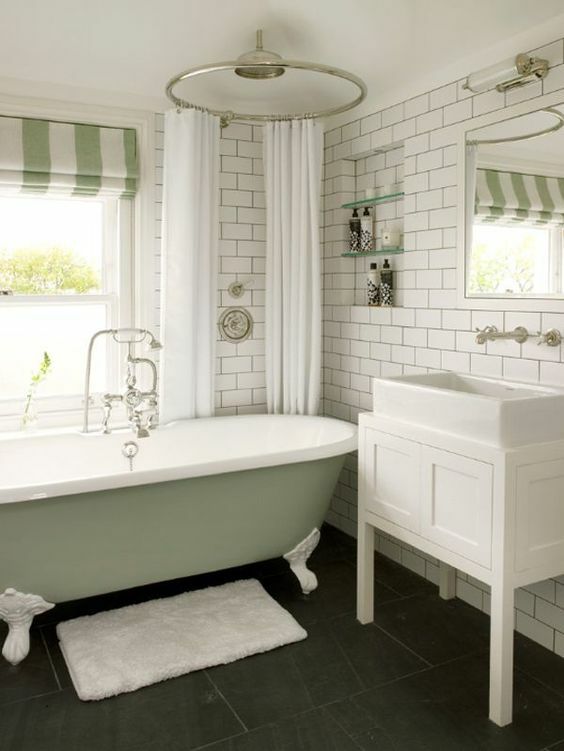 Adorable bathroom with a green tub and green accents. By Leivars Designs. 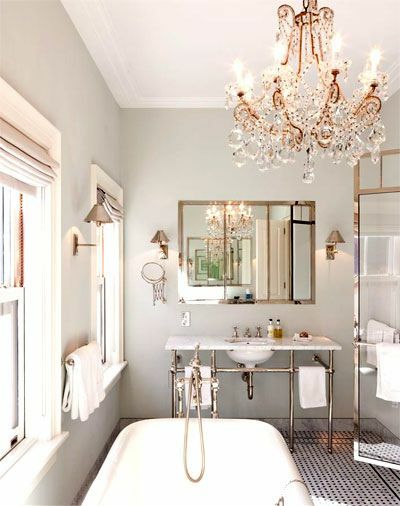 Nate Berkus designed bathroom in the home of Katie Lee Joel. 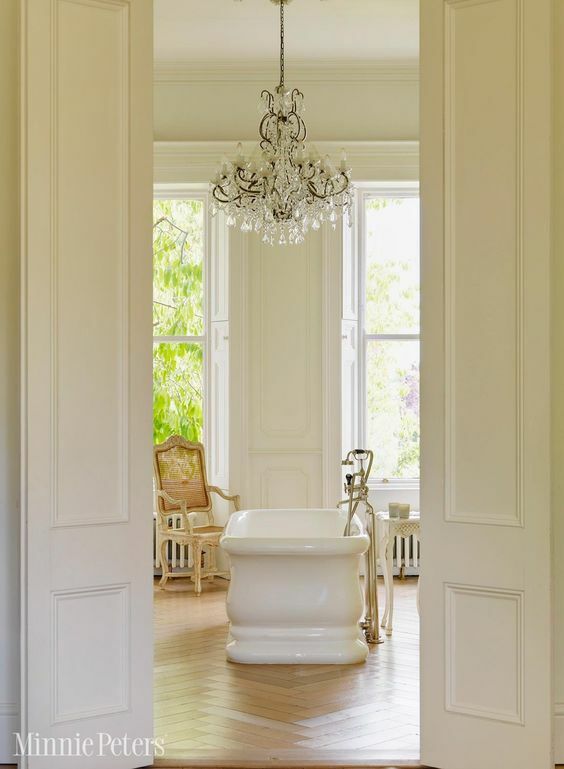 This bathroom is by Tara Shaw. 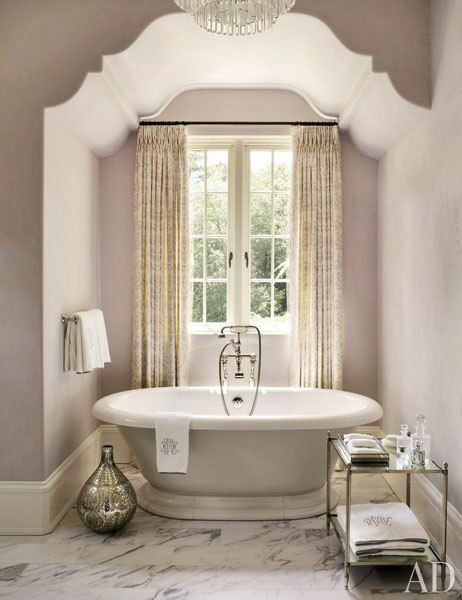 She used a contemporary tub in an otherwise very antique influenced room making for a visually striking contast. Via Veranda. 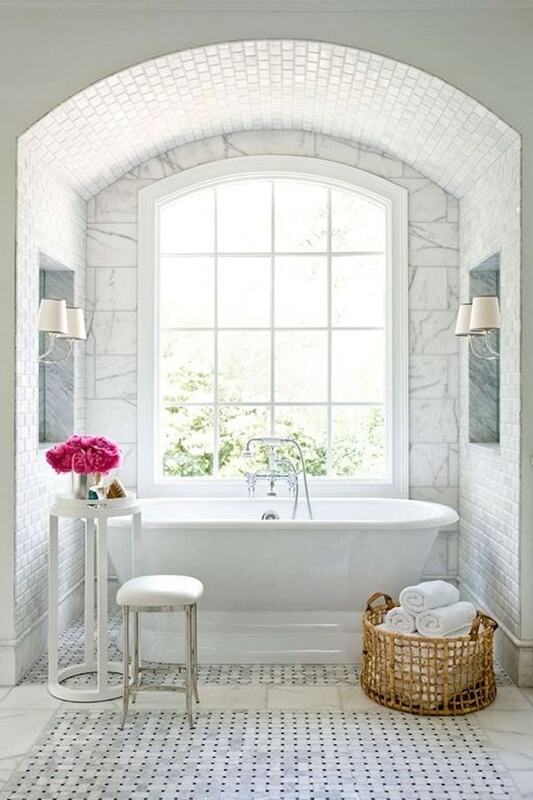 Love this tub! Such a gorgeous color. Design by Brooke Giannetti in her own home, via Veranda. 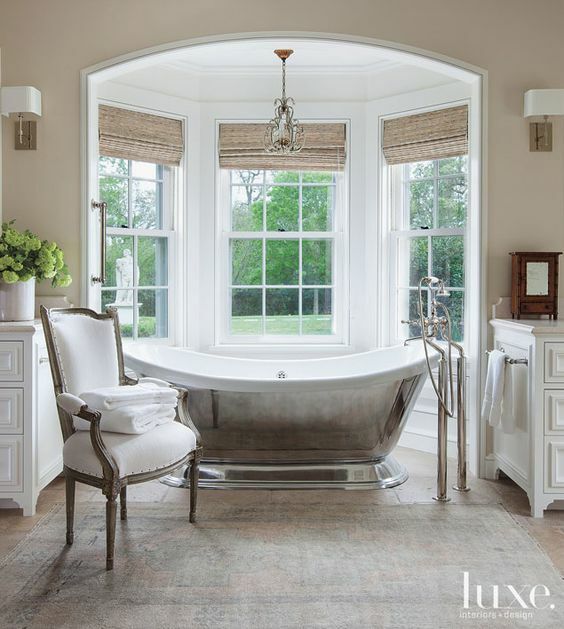 Here Brooke Giannetti uses the same style tub in her new home. Just stunning! Wow, this tub is so striking! And that amazing tile behind it is gorgeous! Wiseman and Gale Interiors. Another silver tub. Beautiful! 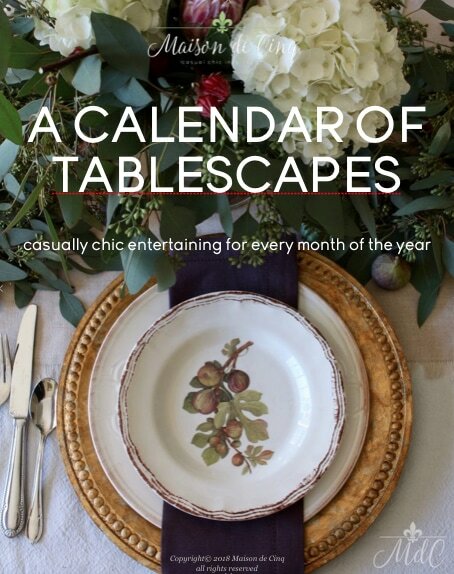 Design by Ginger Barber via Luxe. Another bathroom that I’ve also had torn out forever! Timeless. Amy D. Morris Interiors. Tub under a beautiful window again. 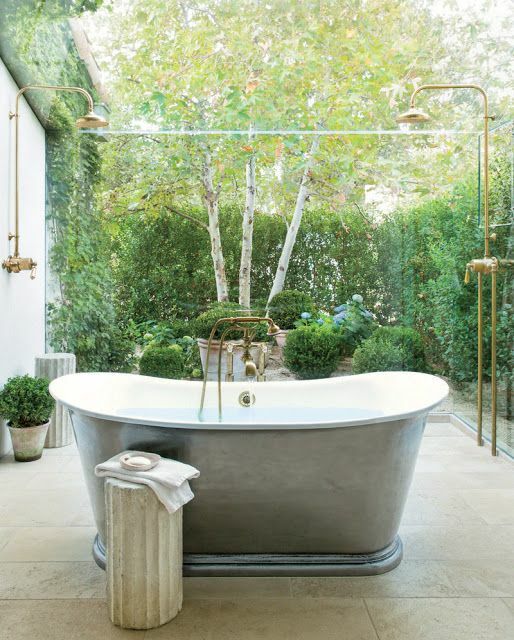 Via House Beautiful, design by Dana Lyon. Love this! That ceiling is amazing! Suzanne Kasler via Architectural Digest. Perfection! Design by Mark Williams. Wouldn't it be great? I think your next project should be ripping out that jacuzzi tub and putting one of these in! it would be so gorgeous!! I would love to have any of these beauties! We have a monster-sized Jacuzzi in our bathroom taking up way too much space!